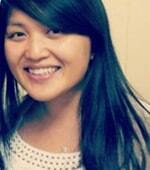 Nhia Vu is a senior Training, Development, and eLearning Specialist in Saint Paul, MN. She has over 10 years’ experience as a human resources development professional working in employee development services. Nhia has earned her Master’s Degree in Organizational Leadership from Bethel University and holds certifications in Insights Discovery and LEAN Kaizen Facilitation. When Nhia first became familiar with Conflict Savvy!, it revolutionized her perspective on conflict and she knew it would the same for others. She became a certified facilitator of the program in 2016.